Used car salesmen types are everywhere, especially in the asset management business. What defines the used car salesman? Used car salesmen are often focused on selling something—anything on their lots that has four wheels—rather than identifying the right vehicle for the client. The same holds true with the asset management business. Some asset management salesmen just want to sell something—anything, regardless of its suitability. Alpha Architect’s experience working with family offices in the dual role of consultant and investment manager has given us the opportunity to see a lot of indecipherable marketing materials and esoteric investment strategies over the years, neither of which appear to be in the best interest of the investor. We’ve always sought a simple framework that would facilitate a quick evaluation of any strategy that came through the door, but nothing really existed. Necessity is indeed the mother of invention: We developed our own framework for determining strategy selection and assessment. Our method is based on a few simple concepts, which should be clearly understood within the context of any investing approach, regardless of objective. In the end, choosing investment opportunities simply comes down to the FACTS. While there is no “one-size fits all” strategy assessment and allocation model, a systematic framework for decision-making can help simplify the process and maximize returns. For every allocation contemplated, and each strategy that needs to be critically assessed, the FACTS framework (consisting of Fees, Access, Complexity, Taxes and Search) can be employed to clarify important considerations for the prospective investor. Our experience suggests that the vast majority of taxable family offices and high-net-worth individuals should focus on strategies with lower costs, higher accessibility and liquidity, easily understood investment processes, higher tax-efficiency, and limited due diligence requirements. For example, the FACTS would suggest, in general, that investors make use of more managed accounts and ’40 Act products, and fewer private funds. Using the FACTS framework can help assess cost/benefit tradeoffs across these and other strategy characteristics, which in turn improves portfolio results net of taxes, fees, and overall brain damage. I can’t figure out why anyone invests in active management, so asking me about hedge funds is just an extreme version of the same question. “Two and twenty” has been an industry mantra for years, although lately people are more likely to recognize it as a proverbial call to head for the hills. These days, 2/20 has been reduced to something more like 1/20, and with an ounce of negotiation, fees may drop to 1/10. To ascertain where fees have been and where they might be going, we highlight some tables from Ken French’s work on the “Cost of Active Investing.”1 Table 1 shows the time series of expenses charged by mutual funds from 1980 through 2006. All-in expense ratios went from over 200bps to around 100bps. 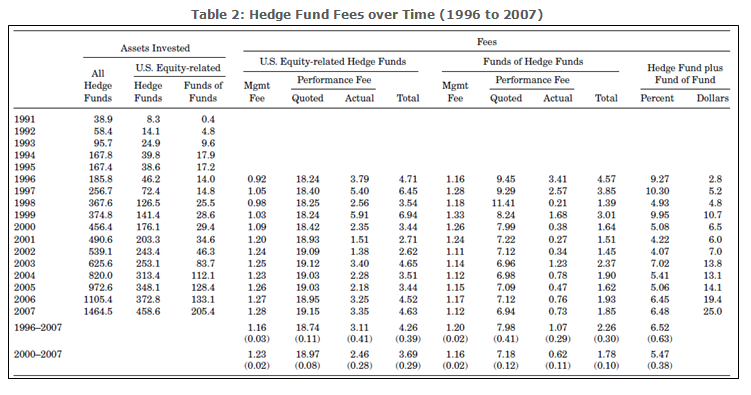 Table 2 highlights hedge fund fees from 1996 to 2007. Contrary to mutual fund fees, hedge fund fees have stayed fairly steady over time. While this is a step in the right direction, with serious negotiation and persistence, fees can be “whatever you think is fair, we’d love an allocation.” Certainly we would advocate for negotiating fees lower generally, but in addition, investors can apply the FACTS to give them context for thinking about these fees. What are the effective all-in fees? Who pays for service providers? Soft-dollar arrangements? Any “directed trading” arrangements? Other trading and execution costs? 12b-1 fees? What about fund administration, fund accounting, or board fees for mutual funds? Any out-of-pocket reimbursements? How is performance calculated when an investor withdraws, in whole or in part? Are there withdrawal penalties? Any mark to market accounting or third party valuations? Beware of the fine print! Remember that these fees compound over time, so scrutinize them carefully. Do fees align investor and manager incentives? Charging an incentive fee can make sense, but is there a clawback provision? What is the hurdle? For example, a 0% hurdle for a positive-beta product doesn’t make sense! Why should you pay more, simply because the market happened to go up? Is there a high water mark provision? Do managers “eat their own cooking,” and invest in their own funds, which can align incentives and address conflicts of interest? If not, think twice. Many funds are “closet” indexers. Can we clone the manager’s exposure via relatively low-cost financial engineering? In other words, is my long/short equity manager 95%+ correlated with a strategy that simply goes long the Russell 2000 Value index and short the S&P 500 index? If a cloning technology costs 50bps and gets 95% of the exposure, the manager needs to either: 1) drop his fees; or 2) not get an allocation. So-called “smart beta” is another area where investors can often get the same exposure more cheaply. The possibility that liquidity might disappear from a market, and so not be available when it is needed, is a big source of risk to an investor. The empirical evidence on investor access suggests there are a wide range of access provisions in the marketplace2. Access rights are especially important in private vehicles, such as hedge funds or private equity funds. George Aragon analyzes a database of hedge funds and finds some surprising results. In table 3 below, Aragon highlights that over 16% of hedge funds lock investor capital in the fund for one year or longer. But the lockup period is only one aspect of liquidity to consider. Aragon tabulates notice periods across hedge fund styles and finds that nearly 25% have notice periods of greater than 30 days (See Table 4). Combined with the lockup period, this implies that some hedge fund enjoy high fees on an investors capital for 13 months or longer. How can I access my capital? Monthly redemption with 90-day notice and a promise to send funds within 90 days of liquidation is really 6-month+ redemption. There can be side pockets, notice requirements, redemption suspensions and other provisions that limit, or restrict, redemption rights. Watch for semantic shenanigans in subscription agreements. The devil is in the details. What is the underlying liquidity of the assets? Do the access privileges line up with the liquidity of the underlying assets? Monthly liquidity for a manager trading illiquid pink-sheets, or 5-year locks for a manager trading mega-caps, probably doesn’t make sense. The former may subject you to drawdowns during redemptions, while the latter is simply unjustifiable. Be on the lookout for mismatches between portfolio asset liquidity and portfolio manager liquidity provisions. There are other hazards, including in-kind distributions, and preferential liquidity rights. What is my investment vehicle? Limited partnerships are theoretically interesting, but what happens when another LP sues the fund and everyone’s capital is locked up? Also, consider that, technically, a general partner of an LP can have access to client funds. Think Bernie Madoff. Go for Separately Managed Accounts (SMAs) or an Exchange Traded Fund (ETF) vehicle, when possible. These vehicles ensure your capital is available when you want it. Does it reduce my ability to tactically allocate assets? After dropping 20% of your capital into private equity, venture capital, and hedge funds, all with 5-year+ lockups, you suddenly realize that the markets have blown up and your “alternatives” exposure is now 60% of your capital—you’d love to scale back, and perhaps reallocate to areas where dislocations have created opportunity, but you CANNOT. Yikes. Illiquid alternatives can have dramatic effects on overall allocations in adverse markets. Any intelligent fool can make things bigger, more complex, and more violent. It takes a touch of genius—and a lot of courage —to move in the opposite direction. Einstein is right. In general, complexity implies opacity, and is often a calling card for a manager who is trying to charge excess fees for a strategy that is easily replicable. One example where we see a healthy dose of complexity in the financial services industry is in tactical asset allocation. But do these highly complex asset allocation strategies even work? A recent study by DeMiguel, Garlappi, and Uppal (2009) show that a basic equal-weight asset allocation model beats mean-variance-analysis and 13 other more complex strategies3. Consider an investor who wants to allocate across three asset classes: 1) the S&P 500; 2) long/short exposure to the Fama-French value factor (excess returns of value stocks over growth stocks, controlling for size) or High (book-to-market) Minus Low (““HML”); and 3) long bonds. How might such an investor choose to allocate across these three asset classes? Many advisers would recommend mean-variance optimization, which involves calculating returns of each asset, and correlations for each pair of assets, and solving for the efficient frontier that maximizes returns while minimizing risk. Importantly, the inputs, based on history, amount to a forecast of returns and volatility for the future. In the tables below we highlight the fragile nature of complex models like mean-variance-optimization. In table 5, we calculate summary statistics for the S&P 500 total return index, the Fama and French (1992) value factor (HML), and the 10-year Treasury Bond (LTR). We calculate monthly returns and related statistics over 2 sub-periods: 1927 to 1960 and from 1961 to 2013. We choose two measurement periods to demonstrate how the choice of lookback period, which informs the input for the optimization algorithm, can drive dramatically different “optimized” allocations. In general, note that averages and standard deviations for these three asset classes don’t differ dramatically, but the correlation matrix across the assets shows strong differences, despite being estimated over long time periods. For many investors, the correlation matrix doesn’t factor into asset allocation decisions, but for the herds of professional investors trained in the art of modern portfolio management, correlation matrix estimates matter a great deal. A stable correlation matrix is required if investors want to get stable estimates for tangency portfolio weights as prescribed by mean-variance-optimization analysis. Yet, as the evidence shows, correlation matrixes, even when calculated based on long time frames, can be highly unstable over discrete periods! Table 6 shows the tangency portfolio weights and minimum variance weights for a portfolio dedicated to S&P 500, the value factor, and long bonds. The results highlight just how important the correlation matrix is for the final output. For example, from 1927 to 1960 the model recommends an 88% allocation to long bonds, however, from 1961 to 2013 the model recommends a 44% allocation to long bonds. Remarkably, similar to the results from DeMiguel, Garlappi, and Uppal (2009), we find that a simple, equal-weighted allocation outperforms both of these “optimized” portfolios in out of sample tests. Table 7 tabulates the results. The strategies represented are as follows: a strategy that allocates equally to the 3 asset classes each month (Equal Weights); a strategy that uses the tangency portfolio weights estimated from 1927 to 1960 (Tangency); and a strategy that uses the minimum variance weights estimated from 1927 to 1960 (Min. Var.). We analyze our results from 1961 to 2013 as an out of sample performance test. We present performance metrics for compound annual growth rates, worst drawdowns, Sharpe ratios, and Sortino Ratios (See Table 7). Based on risk-adjusted metrics, the simple equal-weight strategy outperforms the complex asset allocation algorithm. What gives? While mean-variance-analysis has reverse engineered the best historical Sharpe ratio (i.e. the tangency portfolio), this solution relies on a correlation matrix input, which is highly unstable and incredibly difficult to estimate. And because of estimation error, a simple model of 1/N beats a more complex model. Moreover, one can be sure that the complex asset allocation model will have higher investment costs than a simple model in the marketplace. Why does this strategy need to be complex? Is the complexity a front for the manager, or does the complexity of the strategy drive the alpha? There is seldom a connection between a strategy’s complexity and its effectiveness. If you are having trouble understanding why the complexity exists, it may be intentional on the part of the manager. Complexity is often correlated with data-fitting, for example, when managers identify a very specific allocation scheme that has worked in a small sample. If the complex system is slightly changed do results completely dry up? If they do, then the system is not robust. Reversion to the mean, and mediocre performance, or much worse, is in your future. Can you explain the strategy to stakeholders? Need to explain the family portfolio to your sister who decided art was her passion and finance was a capitalist devil? Clarity and simplicity help facilitate communication and education, which breeds trust and confidence. Outsourcing investment activity to managers with highly complex, expensive, and opaque investment strategies does not facilitate clear communication. And while it may not matter if the portfolio is making money, what happens when it starts losing? Suddenly, understanding becomes very important, as people start asking difficult questions. Defending a losing investment in a Vanguard index fund is easier than defending a loss in credit default swaps. Any banker who lived through the 2008 Financial Crisis understands how complication can create risk-management problems. How does one risk manage a machine-learning algorithm trading leveraged exotic derivatives with a jump-diffusion model infused with a touch of fractal mathematics and string theory? Black boxes of this sort can be problematic for risk managers. In short, always ask yourself if the complexity of a strategy creates a risk management blind spot. Another very simple effect I very seldom see discussed either by investment managers or anybody else is the effect of taxes… If you sit back for long, long stretches in great companies, you can get a huge edge from nothing but the way that income taxes work. Tax minimization strategies are—and always will be—a critical aspect of long-term wealth creation. Tax efficiency is an important investment consideration that is often overlooked, even by experienced allocators. Indeed, tax considerations often dominate performance considerations. This is often lost on mutual fund investors. Over long periods of time, a tax drag of 50%+ a year on a short-term trading strategy has a tough time outlasting an inferior investment strategy that defers taxes for many years into the future. Some scary numbers: Starting in 2013, the marginal investor will pay 23.8% on long-term capital gains (20% plus 3.8% surcharge) and 43.4% (39.6% plus 3.8% surcharge) on short-term capital gains. These figures do not include city, state or local taxes, which can boost these figures much higher (e.g., California). (See table 8). The tax bite matters: Consider a manager returning 30% a year. Yes, it’s an amazing return, but the manager churns the portfolio consistently to generate these returns. After a 43.4% tax, this yields only 16.98% to his investors. Another manager makes 22.28% a year—quite an accomplishment—but this manager trades less frequently to lock in long-term capital gains. After tax, this managers’ return is 16.98%. Finally, consider a buy and hold manager that generates 16.98% a year, but never sells or rebalances the portfolio. After tax, this manager still makes 16.98%. All three managers generate 16.98% after-tax returns, but the three managers have very different pre-tax results, and therefore offer vastly different security-selection skill levels. But that doesn’t matter. In these cases alpha is irrelevant—it is tax efficiency that matters. How are returns taxed? Can this strategy be more tax-efficient? Why or why not? Can it ever be tax-efficient? Avoid mutual funds like the plague. These vehicles generate 1099s with unpredictable tax liabilities. Avoid LPs with hidden “basis.” Investing is tough enough—avoid embedded tax liabilities at all costs. Does the alpha justify the tax costs? Alpha of 5% a year, with a 10% tax drag, nets out to a -5% liability. Not good. Maybe this strategy is too aggressive. Are the tax benefits of this strategy too good to be true? Are the managers “pushing the envelope” with untested tax approaches? Could it trigger an unwanted audit? Are there tax and legislative risks that can be assessed? IRS rules can change; lawsuits can occur; lawyers are expensive. How will I identify managers? Who are we going to pick? How much will it cost to gain this exposure? If we lower portfolio risk via an exotic allocation, but incur an annualized 200bps in search costs to attain the allocation, does it still make sense? How will I monitor managers? Compared to a ’40 Act product, exotic allocations require more hands-on monitoring and periodic reassessment. Now we need a staff with specialized expertise. Or maybe we outsource to a consultant. How much is this going to cost? As a one-time expense, manager search costs might not be too prohibitive. However, consider the fact that managers can fail or leave the business, and the need to maintain a stable of the top managers is an on-going process. Additionally, there can be significant switching costs associated with moving to new managers, including commissions, market impact, and the opportunity costs of being out of the market during a transition. Staring at performance charts is only the first step when deciding on an investment strategy or an investment manager. A range of additional factors need to be considered. The world is infinitely complicated and these factors need to be assessed critically and individually when investing. The FACTs framework can help you ask the right questions, which will help investors make better decisions. The FACTS framework consists of Fees, Access, Complexity, Taxes, and Search. By no means does the FACTS framework cover every aspect of strategy selection or investment decision making, but we hope it will provide an important tool for investors as they seek to deploy their hard-earned capital most effectively. K. French, 2008, The Cost of Active Investing, Journal of Finance 63, p 1537-1573. Aragon, George O. “Share restrictions and asset pricing: Evidence from the hedge fund industry.” Journal of Financial Economics 83.1 (2007): 33-58. DeMiguel, V., L. Garlappi, and R. Uppal, 2009, Optimal Versus Naïve Diversification: How Inefficient is the 1/N Portfolio Strategy? Review of Financial Studies 5, 1915-1953. Performance figures contained herein are hypothetical, unaudited and prepared by Empiritrage; hypothetical results are intended for illustrative purposes only.